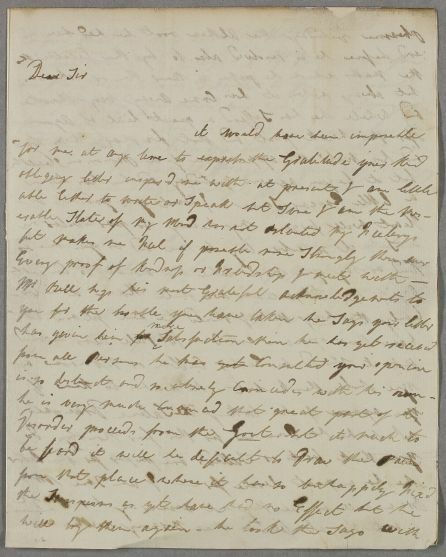 Letter from Margaret Bell to Mr Bruce of Arnot, concerning the case of her husband, Governor Bell, who has a painful urinary tract ailment, which he believes is gouty in origin. She asks him to consult Cullen or Monro about his case. Her handwriting is poor and hard to decipher in places: she explains she is writing at 5 a.m., while her husband is asleep. She seems distraught: 'O Mr Bruce you often see the Person who is Dearest to you in Distress but God forbid you should ever see her in Agony from which no [care?] no assistance can relieve'. 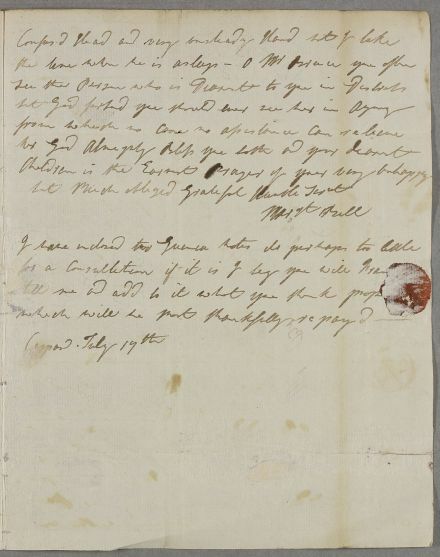 Summary Letter from Margaret Bell to Mr Bruce of Arnot, concerning the case of her husband, Governor Bell, who has a painful urinary tract ailment, which he believes is gouty in origin. She asks him to consult Cullen or Monro about his case. Her handwriting is poor and hard to decipher in places: she explains she is writing at 5 a.m., while her husband is asleep. 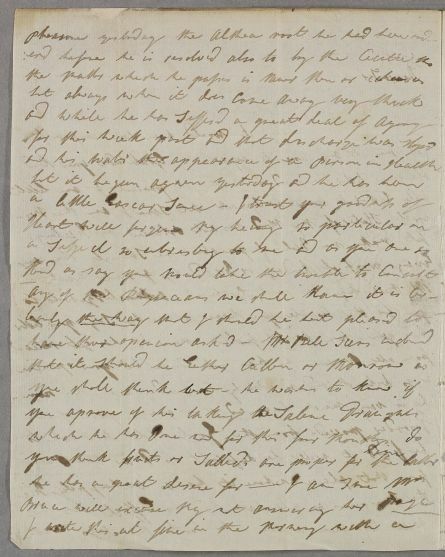 She seems distraught: 'O Mr Bruce you often see the Person who is Dearest to you in Distress but God forbid you should ever see her in Agony from which no [care?] no assistance can relieve'. 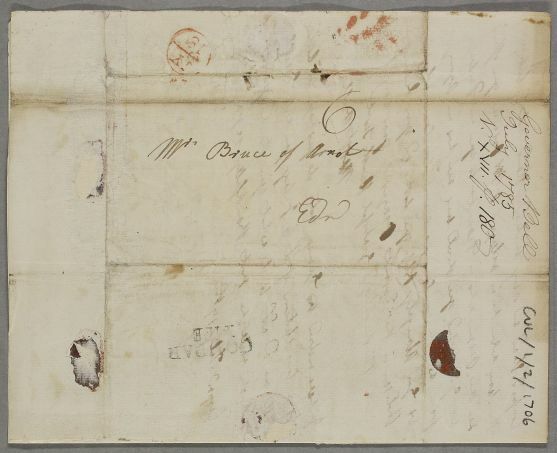 Case of Governor Charles Bell, whose condition is diagnosed as gouty and nephritic.